As expected, the Honor 9 was officially announced today. The majority of rumors we heard regarding the device in the past month or so were apparently correct. The smartphone features a 5.15-inch Full HD display with 2.5D glass and is powered by the Kirin 960 chipset. It comes with 4 GB of RAM and 64 GB of storage and 6 GB of RAM with either 64 or 128 GB of space. The storage can be expanded for an additional 256 GB with the help of a microSD card. The Honor 9 comes equipped with a dual-camera setup on the back that features 20 MP (monochrome) and 12 MP (RGB) sensors. There’s also an 8 MP selfie snapper on board with an f/2.0 aperture and the 3.5 mm headphone jack. Other features worth mentioning are a 3,200 mAh battery, Android 7.0 Nougat with Huawei’s EMUI 5.1 on top, and an AKM Hi-Fi audio chip that promises to improve the audio experience. The smartphone is quite easy on the eyes and has a slightly curved back that should make it sit better in the hand. It’s made from a combination of metal and glass and comes in four color options: Blue, Amber Gold, Gray, and Black. 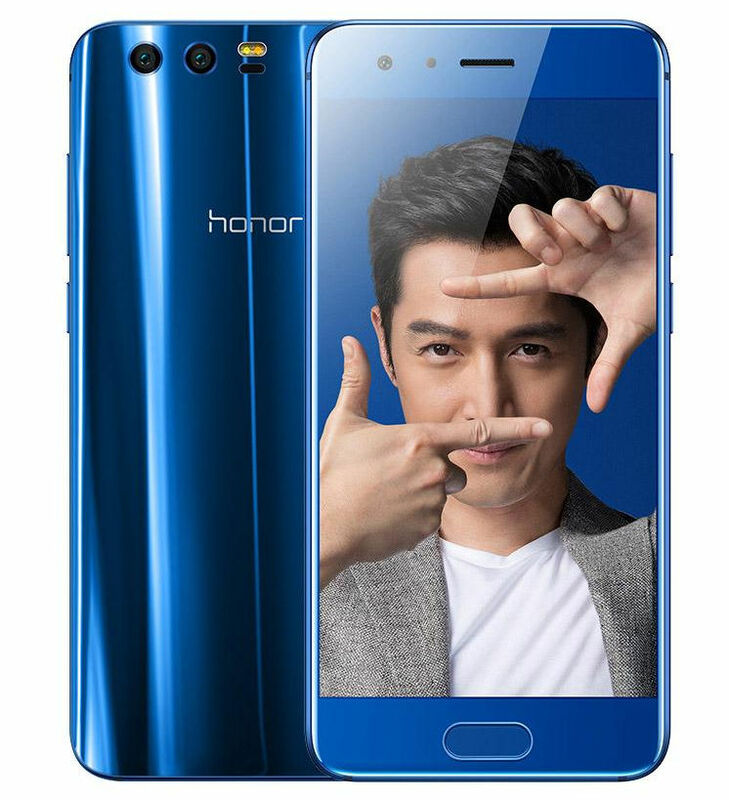 Honor’s latest smartphone is already up for pre-order in China — sales kick off June 16 — where it retails for 2,299 (4GB/64GB), 2,699 (6GB/64GB), and 2,999 yuan (6GB/128GB). This comes out to around $340, $400, and $440, although the prices are expected to be higher once the device makes its way to the US. One thing worth pointing out is that the Honor 9 looks to be very similar in terms of specs to the Huawei P10, which was announced in February at MWC. The differences are that the Honor 9 doesn’t have the Leica-branded camera setup, has 2 GB of RAM more, and obviously looks quite a bit different. A big difference between the two is also the price, as the Huawei P10 starts at 3,788 yuan (4GB/64GB) in China, which is around $555. What do you think about the Honor 9? Would you consider buying it? Let us know down below.